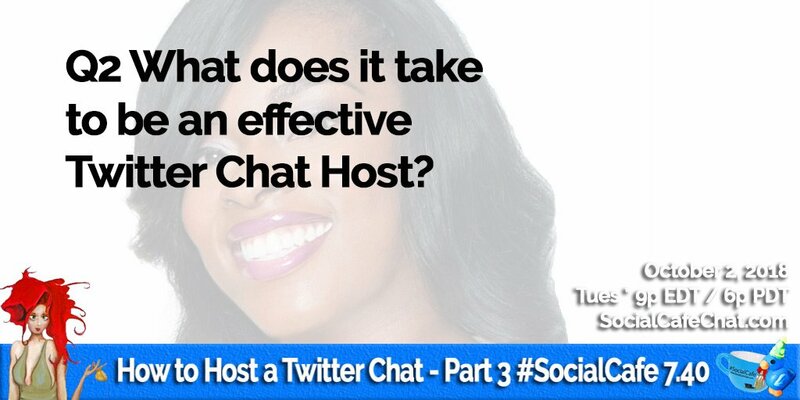 What does it take to be an effective Twitter Chat Host? 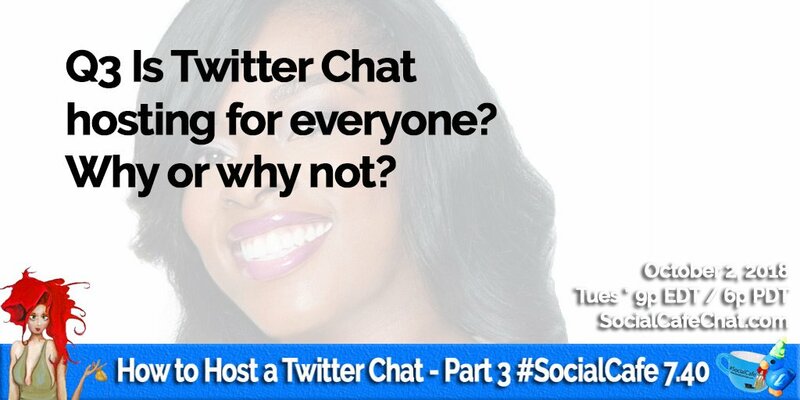 Is Twitter Chat hosting for everyone? Why or why not? 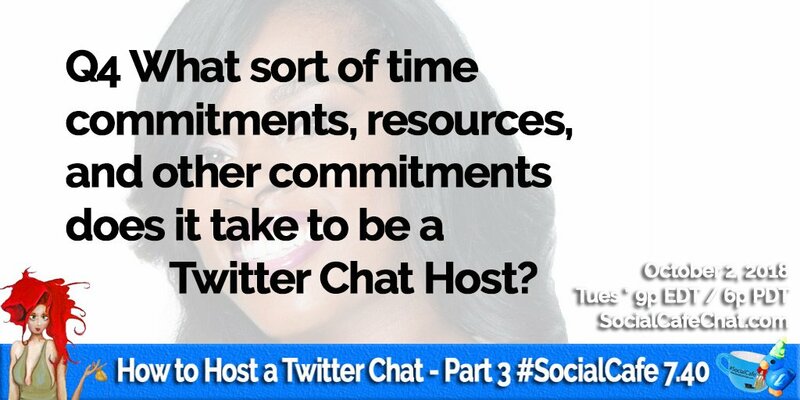 What sort of time commitments, resources, and other commitments does it take to be a Twitter Chat Host? 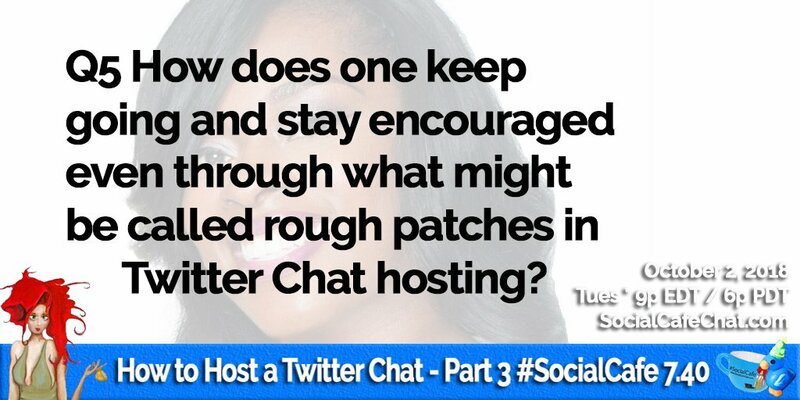 How does one keep going and stay encouraged even through what might be called rough patches in Twitter Chat hosting? 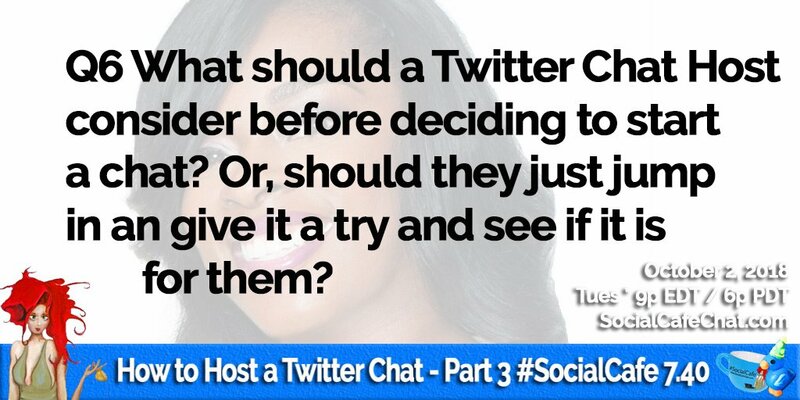 What should a Twitter Chat Host consider before deciding to start a chat? Or, should they just jump in an give it a try and see if it is for them? 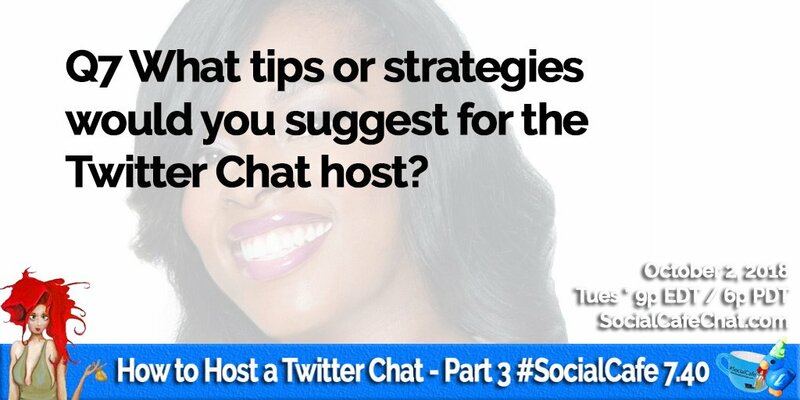 What tips or strategies would you suggest for the Twitter Chat host? 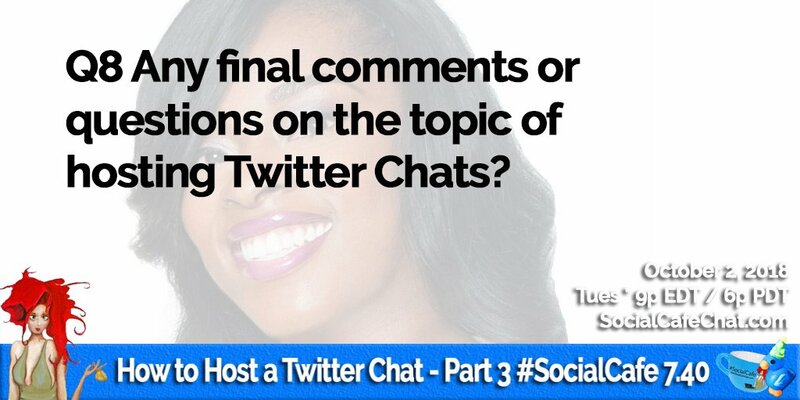 Any final comments or questions on the topic of hosting Twitter Chats? 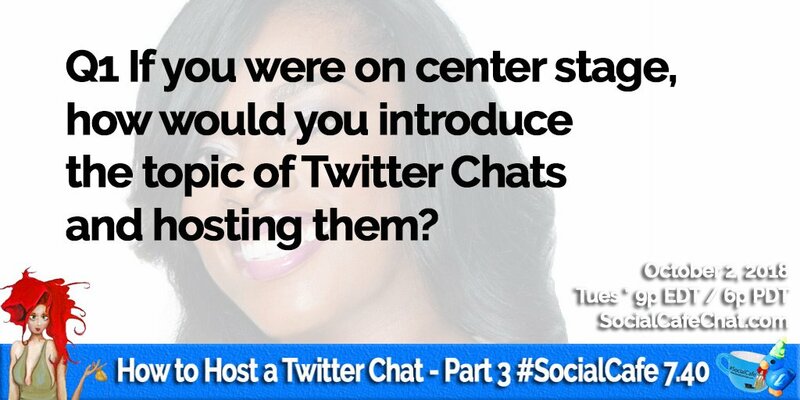 Good point that Paul brought out about defining your Twitter Chat, as the host. Sometimes we don’t think about things like culture or language but these may be of high importance to you, as the host, or your community. 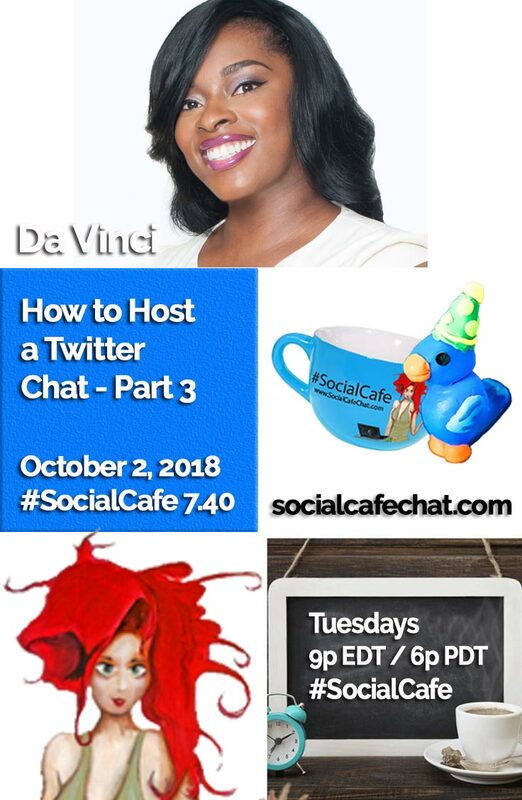 And, to the second point, Da Vinci and I worked on helping to educate our community when it comes to things that were unknown, like Twitter Chats (and Twitter, for that matter, at the time... back in our pioneering days of 2012 with #SocialCafe). Da Vinci reminded me of something sooooo important! No matter how experienced we are, encouraging feedback is so helpful! You never get too old (or too experienced) to appreciate it (and need it)! Thank you, Da Vinci (in more ways than one)! And, let’s all do as Da Vinci does and encourage someone, shall we? 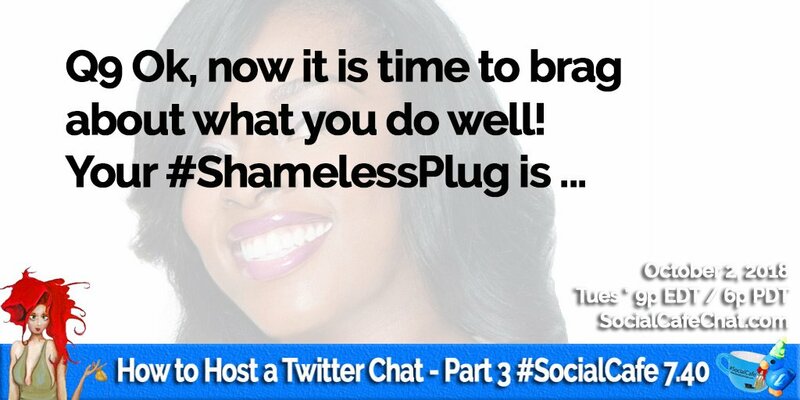 This SocialWebCafe Twitter Event is about How to Host a Twitter Chat - Part 3 (** Featuring Da Vinci of YourLifeAfter25 **).